Prepare to be rocked on Earth Day at Skidmore College. From noon-6pm on April 20, Skidmore students will be sprawled across the library green, listening to music in the company of friends and various rescued farm animals. The college’s three main music clubs—SEC, WSPN Radio and Lively Lucy’s—get together to plan the Earth Day Festival every year in conjunction with the Environmental Action Club, gathering students together to appreciate the planet, eat a veggie burger or two and enjoy some free live music. The event is free and open to the entire Saratoga Springs community. This year’s lineup will start with Skidmore’s own Nu-Note, an experimental R&B band new to the campus music scene this year, featuring four Skidmore students. They beat out several other Skidmore bands jostling for the opening act at the festival. Nu-Note will be followed by Spirit of the Beehive. While the band’s earlier music can likely be described as shoegaze, their newest album touts more psychedelic dream-pop influences. The Philadelphia-based band has garnered a dedicated following in the past few years, including a large Skidmore contingent that will be present in full force for the show. Also representing Philadelphia will be rapper Ivy Sole, a rising star in the Philadelphia hip-hop scene, charting new territory in the genre and drawing from her involvement in multiple collectives. Next up is Anemone—a psychedelic pop trio, hailing from Montréal, which will be stopping in Saratoga before embarking on a European tour this May. Just before the headliner, Jean Deaux, whose music has roots in hip-hop, R&B and house music, will also take the stage. 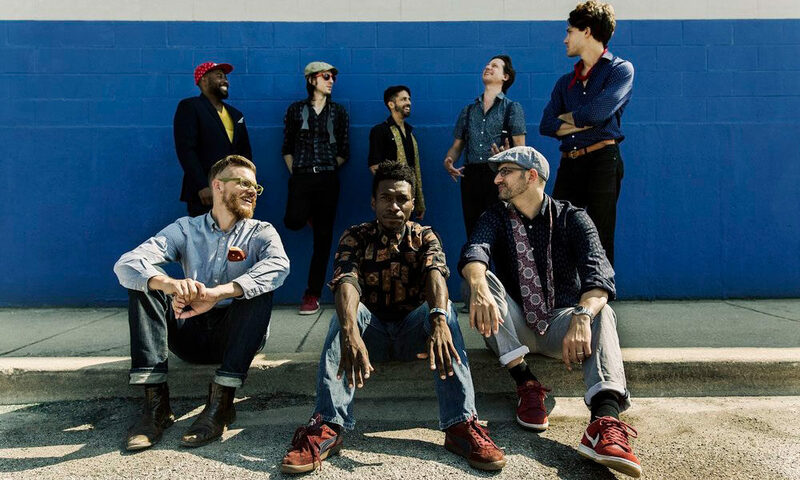 The music-filled day will close with Chicago Afrobeat Project, the festival’s headlining act, which will start playing at 5pm. This world music ensemble, which is often anywhere from 7 to 14 players strong, has been making music since 2005, incorporating influences from afrobeat, hip-hop, funk, jazz, rock and jùjú music (a genre that originated in Southwestern Nigeria). Through the efforts of Skidmore’s Environmental Action Club and Sustainability Office, the Earth Day Festival keeps environmental responsibility at the forefront of this climate-conscious event. Sustainability has also played a large role in the planning of the event, says Ruthann Richards, President of the Environmental Action Club. “All tables/vendors are low waste or zero waste,” she says. “There’ll be compost bins and recycling bins and instructions on how to use them. Crafts will be sustainable, and there will be many opportunities to learn to involve sustainability in your everyday life, along with giving people [a reason to] treasure the outdoors a bit more.” Sustainability-themed activities and information will be available for visitors, including Skidmore’s famous Smoothie Bike. If you can’t make it out to the event, listen live on Skidmore College’s radio station, WSPN 91.1FM, or stream it online. For more ways to celebrate Earth Day, click here.